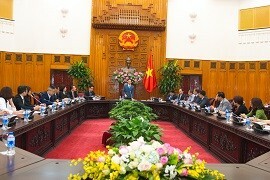 Deputy Prime Minister Vu Duc Dam recently had a working meeting with the Executive Committee of the Vietnam Business Council for Sustainable Development (VBCSD) in Hanoi. He requested that the goal of developing a sustainable business community is to create a broad network for business associations across the country rather than within each region and locality. At the meeting, Dr Vu Tien Loc, President of the Vietnam Chamber of Commerce and Industry (VCCI), said that VCCI will base on its more than 400 member associations as well as business associations across 63 provinces and cities and hundreds of sector-specific business associations to form a sustainable business network as guided by the Deputy Prime Minister, not defined to more than 100 member companies of VBCSD, given in the context that the country is home to over 630,000 businesses. The National Conference on Competitiveness Improvement and Sustainable Development is set to take place in Hanoi on July 5 and will be chaired by Deputy Prime Minister Vu Duc Dam. 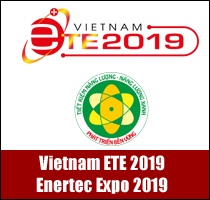 Mr Nguyen Quang Vinh, Vice President of VBCSD, said, in 2017, VBCSD successfully organised the Congress attended by more than 100 domestic and international companies who were strongly committed to carrying out the Sustainability Plan. In addition, the set of sustainability criteria was revised to reduce complexity, thus enabling small and medium-sized enterprises and even micro-enterprises to follow. 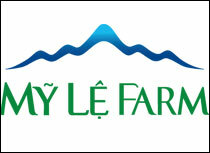 The rating was also changed from listing the names of 100 sustainable companies to certifying sustainable businesses. In addition, VCCI and VBCSD also initiated the establishment of the support centre for circular business development models. In 2018, the council will set up working groups to study advantages, challenges, employment opportunities in the digital age and the Fourth Industrial Revolution in some typical businesses operating in footwear, seafood and textile. 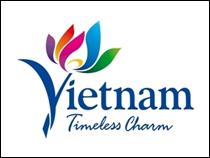 Deputy Prime Minister Vu Duc Dam noted that, in addition to its member associations, VCCI also needs to cooperate with other business associations in the country such as the Vietnam Association for Small and Medium Enterprises, the Vietnam Young Entrepreneurs Association, the Vietnam Women Entrepreneurs Association to increase competitiveness for this new economic model. Addressing major challenges in the Fourth Industrial Revolution, he said that there must be action to properly and practically to raise the understanding of this concept with specific topics for each agency, business and individual. This is an important content of the upcoming Sustainability Forum hosted by VCCI with other ministries and international organisations. The mission of VBCSD in the coming time is to have a stronger voice to spread the spirit of sustainable development to the business community and see corporate sustainability as the ultimate goal of VCCI. VCCI’s many indicators such as the Provincial Competitiveness Index (PCI) and the Ministerial Efficiency Index (MEI) are all dedicated to ultimate goals of sustainable development as mentioned above. 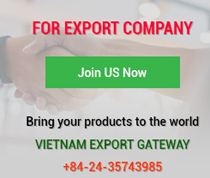 In addition, according to the economic structure, Vietnam's labour force is excessively concentrated in the agricultural sector with about 40 per cent while the rate in other countries is 5-10 per cent. 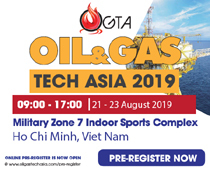 As a result, Vietnam necessarily reduces the workforce in simple sectors to service, technological and technical sectors. To do this, Vietnam needs to have more factories and enterprises. Deputy Prime Minister Vu Duc Dam also suggested that companies should be encouraged to innovate and apply new technologies, use less energy, not pollute the environment and have the responsibility to the society. He also ordered VCCI and VBCSD to actively inform the business community in particular and Vietnamese people in general of their benefits and responsibilities to sustainable development. At present, Vietnam’s innovation index is below 50 and its competitiveness index is at 55. But, the government is determined to further improve the business environment and the competitiveness in 2018. Therefore, VCCI and business associations must strive towards the common goal of sustainable development and prosperity that benefit the community.